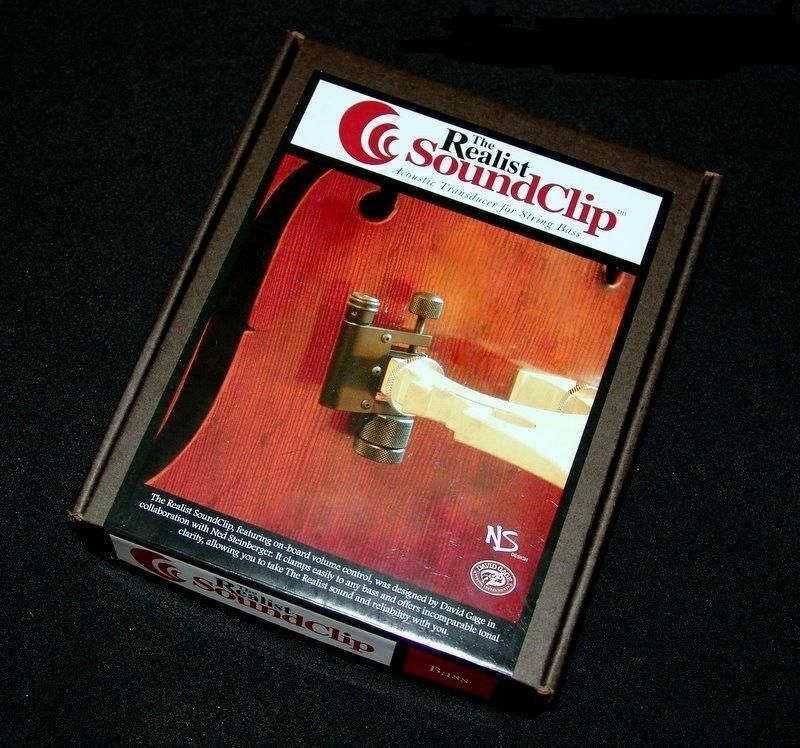 Ned Steinberger and David Gage have conceived another breakthrough innovation…the Realist Sound Clip™ for double bass. The Sound Clip is a unique pick-up designed for traveling bassists or for those who want to use a pick-up only when they are using an amp. It’s small enough to fit into your shirt pocket yet it enables you to contour the tone of any bass using its innovative variable weight system. The on-bard volume knob gives the player full output control on the fly and its fully adaptable to all basses and playing situations.